When Did Anthropogenic Global Warming Begin? | Watts Up With That? Note: This article builds upon a previous article, When Did Global Warming Begin?, which offers highly recommended background for this article. it is apparent that the majority of the increase occurred after 1950, and the change between 1900 and 1950 was de minimis. Furthermore, the Houghton data these graphs are based upon is highly suspect, i.e. from IPCC AR4: “Although the two recent satellite-based estimates point to a smaller source than that of Houghton (2003a), it is premature to say that Houghton’s numbers are overestimated.” Houghton’s method of reconstructing Land-Use Based Net Flux of Carbon appears arbitrary and susceptible to bias; i.e. 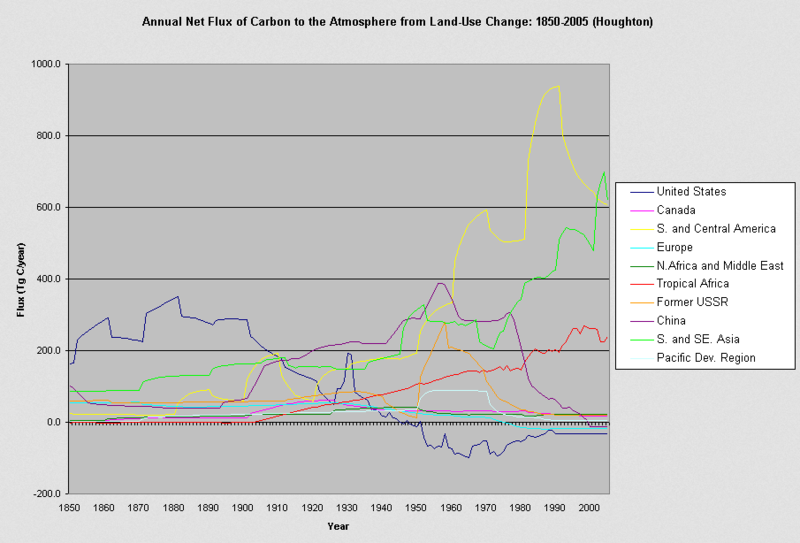 “Rates of land-use change, including clearing for agriculture and harvest of wood, were reconstructed from statistical and historic documents for 9 world regions and used, along with the per ha [hectare] changes in vegetation and soil that result from land management, to calculate the annual flux of carbon between land and atmosphere.” Furthermore Houghton’s findings have varied significantly over time, i.e. in Houghton & Hackler, 2001 they found that, “The estimated global total net flux of carbon from changes in land use increased from 397 Tg of carbon in 1850 to 2187 Tg or 2.2 Pg of carbon in 1989 and then decreased slightly to 2103 Tg or 2.1 Pg of carbon in 1990“. However, by Houghton, R.A. 2008 he found, “The estimated global total net flux of carbon from changes in land use increased from 500.6 Tg C in 1850 to a maximum of 1712.5 Tg C in 1991“. and it appears that Land and Ocean Sinks would have absorbed any increace, along with much of the minimal pre-1950 Anthropogenic CO2 Emissions from Fossil-Fuels. This is supported by the findings of Canadell et al., 2007 that, “Of the average 9.1 PgC y −1 of total anthropogenic emissions (F Foss + F LUC) from 2000 to 2006, the AF was 0.45; almost half of the anthropogenic emissions remained in the atmosphere, and the rest were absorbed by land and ocean sinks.” Furthermore, they found “increasing evidence (P = 0.89) for a long-term (50-year) increase in the airborne fraction (AF) of CO2 emissions, implying a decline in the efficiency of CO2 sinks on land and oceans in absorbing anthropogenic emissions.” Thus absorption rates of Land and Ocean Sinks were likely significantly higher prior to 1950. In fact it was not until approximately 1975 that temperatures began to rise. However, this doesn’t mean that CO2 based Anthropogenic Global Warming began in 1975, because as Phil Jones noted during a 2010 BBC interview, “As for the two periods 1910-40 and 1975-1998 the warming rates are not statistically significantly different.” As such, the warming from 1910 – 1940, before Anthropogenic CO2 became potentially consequential, is “not statistically significantly different” from the warming during the period from 1975 – 1998 when the IPCC AR5 claims to be ” extremely likely that human influence has been the dominant cause of the observed warming since the mid-20th century”. Given that “causes of the earlier warming are less clear“, our understanding of Earth’s climate system is rudimentary at best, and our historical record is laughably brief, it is confounding how the IPCC can be so “extremely” sure “that human influence has been the dominant cause of the observed warming since the mid-20th century”, which is “not statistically significantly different” from the natural warming that occurred between 1910 – 1940. Regardless, claims that “Global warming is the unusually rapid increase in Earth’s average surface temperature over the past century” are erroneous and indicative of either ignorance or duplicity on the part of NASA’s Earth Observatory, NASA’s Climate Consensus page, The Daily Mail, the EPA and many others. So what do you think? When Did Anthropogenic Global Warming Begin? The GoreBull warming scam got it’s big boost on 12/13/2000. Why couldn’t he just pretend to build houses for poor people. I think it began in 1972 at the UN Conference on the Human Environment http://www.eoearth.org/view/article/156774/ when stressing human causation that would be global in impact was seen as yet another useful weapon against the prosperity of the West. All remedies involved increasing public sector power at a global level. Especially now that I have seen that Louis Sohn wrote the conference report in 1973. I knew him as a law school prof. Small world. Crap Robin, @njsnowfan had the answer. I was hoping no one else would respond. I’ve been following this AGW scam for a number of years now. I’ve yet to see ANY evidence, compelling or not, that anthropogenic CO2 influences Earths temperature prior to or post 1950. I’d love to see some evidence. Anyone got any? Global Warming began when the United Nations realized that a brouhaha in this regard could lead to global governance (their global governance). No, I make it since the beginning of humanity looking at the graph. 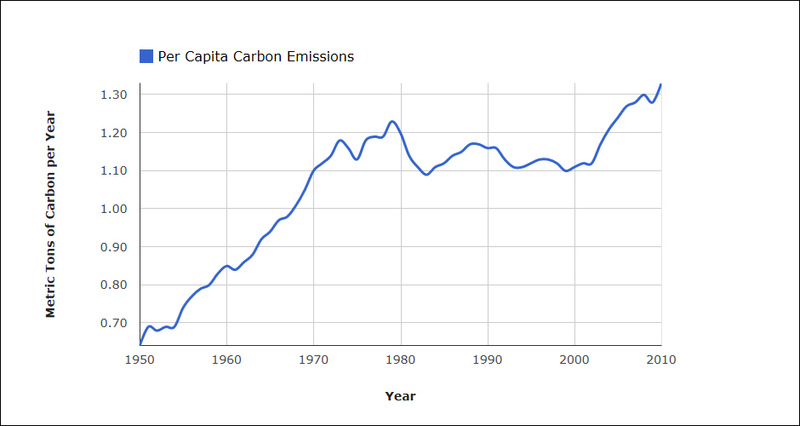 Note per capita C emissions the long rise was suddenly attenuated by the new organization OPEC’s cartel price rise in 1974 and maintained relatively flat by major recessions in the early 1980s, 1990s, Asian currency crisis 1997-98 and new millennium. The big rise afterwards was the phenomenal growth in the Chinese economy – attenuated by global slowdown since 2008. Yeah we could moderate carbon emissions by going into deep economic recessions. “However, it is the dependence of the airborne fraction on fossil fuel emission rate that makes the post-2000 downturn of the airborne fraction particularly striking. The change of emission rate in 2000 from 1.5% yr-1 to 3.1% yr-1 (figure 1), other things being equal, would have caused a sharp increase of the airborne fraction (the simple reason being that a rapid source increase provides less time for carbon to be moved downward out of the ocean’s upper layers). We suggest that the huge post-2000 increase of uptake by the carbon sinks implied by figure 3 is related to the simultaneous sharp increase in coal use (figure 1). Note the following that shows two different 540 month periods (45 years). One period is before 1950 and the other is after 1950. Without looking at the dates, and just by looking at the general shape and slope, could you tell which was which? One slope is very slightly steeper than the other. However the difference (0.016/year – 0.012/year = 0.004/year) is very minor. Such a small difference does not necessarily require an explanation. However if you wanted to attribute it to man-made CO2, then there is no way this could be a problem. Even the IPCC would agree that an increase of 0.4 C/century would not be a problem for hundreds of years. Excellent question, I doubt that the believers themselves couldn’t find a consensus to believe that is consistent with the data. And BTW is all the data set have been ‘adjusted’ to transform the cooling of the 50’s to the mid 70’s into a somewhat flat trend? WUWT is primarily a science website but the international advocacy surrounding “global warming” is primarily a political movement that has much to do with “global” and very little to do with any actual “warming”. Robin is looking for answers in the right places. AGW began after the first hominid struck two flints together. Fire is the original sin for enviromentalists (sic). soon after the League of Nations transitioned to the United Nations and people decided to spread the wealth. thats the underpinnings of the foundation required to answer the question IMO. You mentioned the Phil Jones interview. Below are the results based on todays adjusted Hadcrut3. His three slopes were 0.163, 0.15 and 0.166. Now, the same three slopes are 0.101, 0.157 and 0.184! …. and if the pre-1950 warming is not anthropogenic, then what did cause it? And why are alarmists so certain that the periods of post 1950 warming weren’t caused by the same ? Tough questions & good reasons to be skeptical. One slope is very slightly steeper than the other. However the difference (0.016/year – 0.012/year = 0.004/year) is very minor. Such a small difference does not necessarily require an explanation. Humans have “influenced” the climate from day 1. Now ,of course, our best understanding says that in the beginning the effect was small and swamped by other forcings. Since the climate is chaotic and sensitive to small perturbations ( butterfly wings and all that) we can be somewhat confident that the climate of the earth with humans would be different than the climate without humans. The same way the climate would be different without plankton. That certainty is limited because…..
3. How much certainty do we need to take action? 4. What actions make sense? Great post. Warming begin? Finished fixing the furnace at 3:00, so about then. “When Did Anthropogenic Global Warming Begin? It depends on whether we’re talking about Infinitesimal Anthropogenic Global Warming which started sometime in antiquity or Measurable Anthropogenic Global Warming which may start decades or even centuries from now (if ever). It seems that tropics are damned near immune to radiative change, with a corrective feedback of about 90% of any change in forcing. Extra-tropical regions will be more sensitive. Still writing this up but for tropics it looks like Linzen & Choi are pretty close, which means almost all others are badly off. Any evidence for this outside of a virtual world? Anthropogenic Global Warming, like unicorns, is imaginary. It began with lies and propaganda. Ignoring the facts! With a little influence from $. It depends on what year they want to cherry-pick. In any case, it’s been AWOL these past 17 or so years. Some say it’s hiding somewhere deep in the oceans. Afraid to come out, I guess. Since no one knows the final cumulative effect of adding CO2 to the atmosphere in relation to the other forcing factors at any particular time which are themselves poorly understood it is impossible to say but if at all it can’t be before ~1945. Maybe in 2013 it was warming? I think not. Anthropogenic Global Warming as a measurable entity, distinguishable form natural cycles, is yet to begin. Anthropogenic Global warming as a political ploy… as Robin says. But another beautiful question for the members of this cult, the cult of calamitous climate will attempt to burn you at the stake, before they honestly attempt to answer this question. There wasn’t much of any to speak of until Hansen & Co began committing the crime of altering Federal data to make it appear as if there was a lot. Before that should be addressed I think there are two more important questions to answer. When Did Bovinian Global Warming Begin? When Did Gaiainian Global Warming Begin? Using some of the standard estimates for forcing, CO2 forcing currently is about twice what it was in 1970, about four times what it was in 1920, about eight times what it was in 1880, etc. Not sure where you would say that began, but it would be significant after about 1900 and dominant after about 1950. 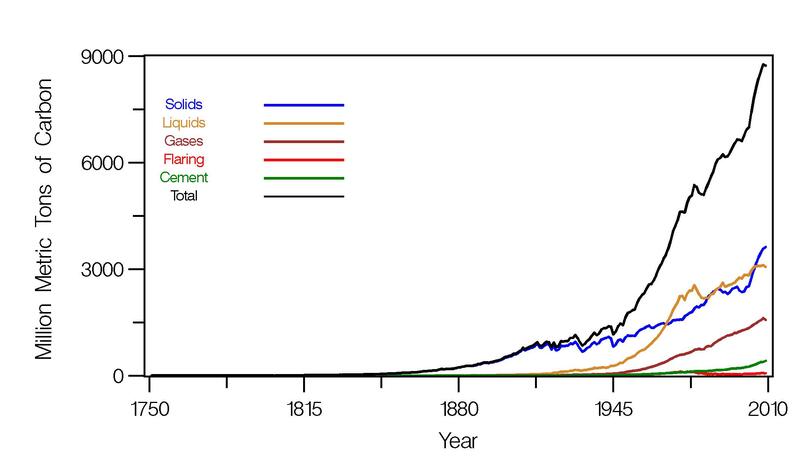 Based on this, a claim of CO2 related global warming over the past century is not an unreasonable statement. The rise from 1900 to the 40s is principally CO2 and solar forcing of similar magnitudes during a period of minimal volcanic activity. Aerosol forcing is also significant, but less well quantified and may be the most significant factor in suppressing temperature rise in the 1945-1970 period. 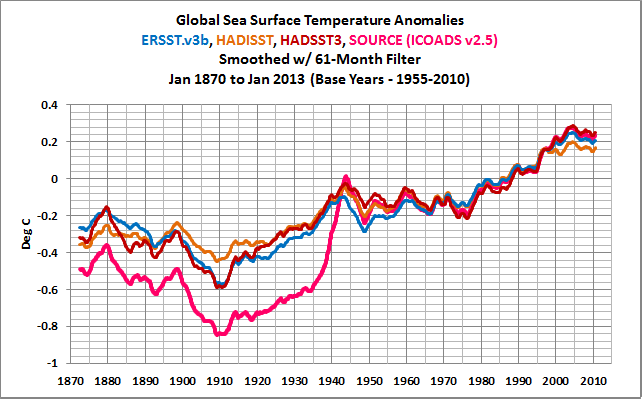 Internal variability due to ocean effects also clearly plays a role in the surface temperature record. “3. How much certainty do we need to take action? 3. Depends on the action to be taken. If the action to be taken will be severe or catastrophic then you have to be essentially 100% certain. A surgeon wouldn’t do brain surgery to remove a substantial portion of the patients brain without being 100% certain there was at least some problem. You don’t do radical brain surgery because the patient MIGHT get a brain tumor sometime in the future. 4. I would say developing a new and more permanent energy source that is better than what we currently have would be actions that make sense. This would mean things like Fusion in the longer term and perhaps Fission in the more near term. The key is that the energy source needs to be as reliable, abundant and as INEXPENSIVE as fossil fuels. Windmills and solar on grand scales do NOT meet this criteria. They destroy the environment and kill animals needlessly besides being expensive and unreliable. We then transition off of using fossil fuels as a home/business energy source as the replacements come on line… not before. That to me, is what actions make sense. I thought the same thing….”butterfly wings”????? I thought it was Hiroshima bombs sensitive….. Humans have “influenced” the climate from day 1. When was “day 1” and what was the influence? Now ,of course, our best understanding says that in the beginning the effect was small and swamped by other forcings. “In the beginning the effect was small”, implies that the effect is now not small. Can you cite any evidence of Global-scale Anthropogenic influences on Earth’s climate? Since the climate is chaotic and sensitive to small perturbations ( butterfly wings and all that) we can be somewhat confident that the climate of the earth with humans would be different than the climate without humans. Don’t go out too far out on a limb there, i.e. is “somewhat confident” IPCC parlance for flipping a coin? And different, is that different warmer, different colder or different otherwise? Were you involved in developing the Land + Ocean dataset? 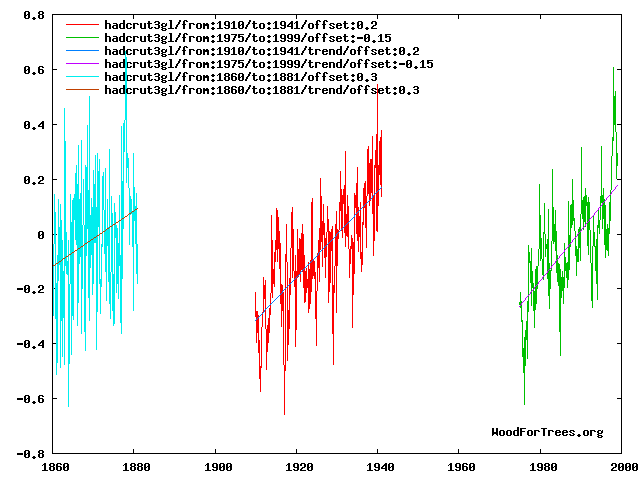 Given the large and suspect adjustments that Hadley makes to the ICOADS data to create HadSST, do you know why BEST used the HadSST data set, versus applying its own processing to unadjusted ICOADS source SST data? yeah…and so have butterflies, corals, ferns, and elephants…. Since the radiative forcing is predicated on the atmospheric CO2 content and Professor Salby has demonstrated that the atmospheric CO2 content is not correlated to the anthropogenic emissions I question the whole hypothesis that anthropogenic emissions can be connected to any warming. I have no doubt that it is a greenhouse gas but ,if the atmospheric content is a function of the integral of global temperature and unrelated to anthropogenic emissions, It seems these emissions are too insignificant in relation to natural CO2 variations to have any measurable effect. Don’t you know that it’s just that Mankind is evil and if not eradicated we need to at least pay penance to Mother Gaia? And only by giving Saint Gore billions and billions of dirty money can we absolve ourselves of our dirty carbon sins…. CO2 forcing currently is about twice what it was in 1970, about four times what it was in 1920, about eight times what it was in 1880, etc. Based on this, a claim of CO2 related global warming over the past century is not an unreasonable statement. Based on reality, not only is it unreasonable; it is positively daft. Being a devil’s advocate here, since we know that the response to CO2 is logarithmic the response to the small increase pre 1950 is expected to be greater than the response to the larger increase post 1950. You should graph something like log[(emissions + k)/k] against time where k is some estimate of the background level of natural emissions. My point is that since the response is logarithmic you can’t answer the question by just eyeballing the graph of CO2 emissions. When I look at the curve I really don’t see a kink in 1950 – I see a smooth exponential growth curve with nothing particularly special happening in 1950..
What really annoys me is that JTF is using the massively adjusted Hadley fabrication as a guide to any sort of temperature reality. Even Hansen had 1940 temps up very near 2000 temps before this fraud got started. !! Depents if you count influences due to land use changes also, or just CO2, in anthropogenic causes. Several papers (Cristadis 2013, and earlier) have noted apparent changes related to the epidemics brought to the New world (much Amazon etc farmland returned to forest for a while) and other land use related causes. Oh dude, did you read “Jonathan Livingston Seagull” too? Far out, man. I assume we will never dispose of the modern-day warmist hyperbole by just showing a 16-17 year pause that contradicts greenhouse theory. We keep hearing stewards and respected contributors to this web site saying that Mankind is a contributor to global warming, and they may have some science to back it up. I plan to remain skeptical until I see a lot more evidence. But since you brought it up. 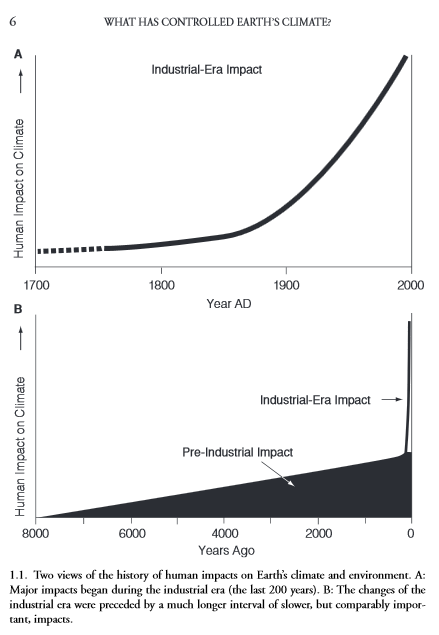 Pre-industrial societies were having a noticeable impact on climate as far back as 8,000 years. Since at least one commenter, above, believes this, I guess the thinking is still with us. Even though the AGW hypothesis is all over the place and not even wrong IMO, the consensus is very specific when AGW became significant. It’s also the only plausible timing – the CO2 emissions (and other alleged anthropogenic effects) were simply insignificant before roughly the middle of the 20th century. Skeptics should know what excatly they’re skeptical of. The AGW convinced don’t like it when it’s pointed to them that the divergence between natural only and anthropogenic + natural (in the models) did not arise before ~1950. Again, even according to the AGW consensus, any climate change before ~1950 is purely natural. For RSS, the slope is flat since September 1996 or 17 years, 5 months (goes to January). So RSS has passed Ben Santer’s 17 years. The rise from 1900 to the 40s is principally CO2 and solar forcing of similar magnitudes during a period of minimal volcanic activity. What makes you so confident that “The rise from 1900 to the 40s is principally CO2 and solar forcing of similar magnitudes”? Can you cite evidence to support your position? Can you cite evidence to support your position? and dominant after about 1950. If CO2 forcing was “dominant after about 1950”, why did temperatures drop until 1975? Huh? I’m looking at the graph at the top of this post which shows about 1 degree of change over the course of 130+ years. That’s sensitive? If the graph was done in degrees K instead anomalies, on a reasonable scale of say 0-350K, it would look like a flat line with a barely discernible trend. The data is absolutely screaming the exact opposite of your claim. As for chaotic, sorry, but you have weather confused with climate. Weather is chaotic. Climate, being the average of weather over the long term, is clearly stable as hell. You managed to get two things completely bass ackwards in less than one sentence. Human induced global warming began in 1988 when the IPCC was formed. The graph showing CO2 by source is suspicious. Before the 1950s, it was all flaring. They did very little recovery of natural gas. So any oil extraction would involve an enormous amount of fairing. The graph shows none. With all respect, your AGW is modelled AGW only. Even the IPCC admits in AR4, that models are flawed. Please explain to me, why, at the end of the last glacial period 12000 years ago, we had ~180 ppmCO2 followed by an increase to ~270 ppmCO2 at the beginning of the holocene, BUT there was an increase of ~7° C in temperature! If I apply those 100 ppmCO2 difference to modern times, the world must be ~10° C warmer since 2 centuries, than in the holocene… and this with the far-fetched culprit “industrial aera”, AGWs often use as an explanation. If you look at the temperatures form icecores, temperatures have decreased(!) by ~ 0.3° C since 12000 years, despite of actually ~400 ppmCO2 and despite of your ridiculous “AGW” theory hypothesis. Would you please explain that to me? Anthropogenic global warming began when the Cold War ended. Just gotta have something to fight. There is two things that coincide with the 1950 date: 1. It is when atmospheric testing of the abomb began in earnest and 2, its when USDOD began its geo-engineering of the atmosphere. Has anybody examined the geo-engineering of the ionosphere and increases in temperature? How about the US DOE ARM program and its cloud formation program in the Arctic, which ran roughly from the mid 1980s to the late 1990s and the apparent warming of the Arctic? There are two answers to this question: one is ‘never’ and the other answer is ‘When they realized that there was a lot of money to be made from this huge scam’. I agree entirely with Steven Moshers post. It’s true that as a consequence of any organism interacting with the chemistry of its surroundings it’s going to affect it, and that will have a knock on effect, from day 1, and in perpetuity. In the context of the global warming debate, we might say that is “trivially true”. The rest of his post outlines how the debate should be framed, but the problem with the debate is that it is not. The sum total of the answers to the questions he has posed is that it is entirely possible that there is no consequence of great significance or that they maybe consequence of net benefit….just as much as there might consequences that are detrimental. The problem is there is an automatic assumption that any influence we have will be negative. It is just all so foolish. Human inputs have virtually no effect on CO2 concentration anyway. It’s essentially a temperature dependent, natural process. 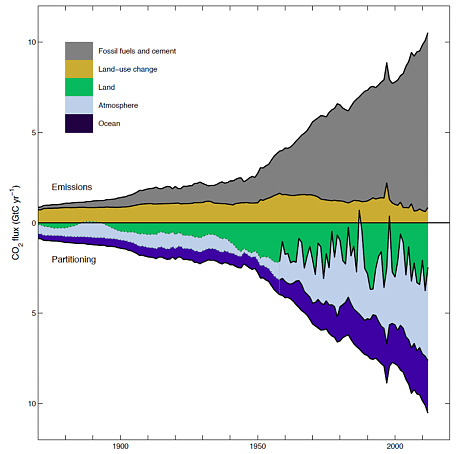 Many of the graphs are labeled “Global carbon dioxide emissions”. 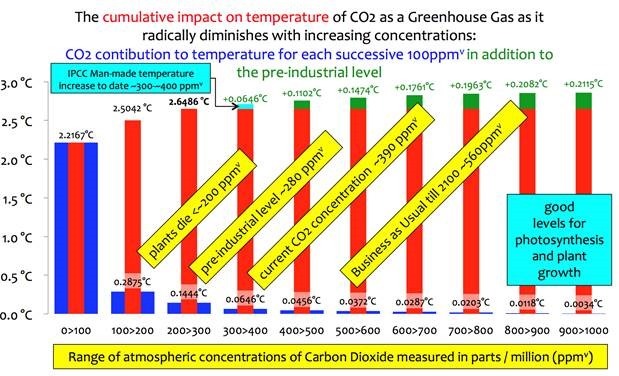 Such as label is horribly misleading, as the graphs actually are supposed to represent “Global carbon dioxide emissions attributable to humans”. The actual global carbon dioxide emissions are not well-know, but are roughly 20 times those due to humans. We don’t have a good handle on either the natural (e.i., non-human) sources or the natural sinks. Is “somewhat confident” the IPCC 97% version? Climate sensitivity (to CO2 and indeed to the butterfly wings remain undetermined and in the case of the latter, probably unknowable). (C)AGW remains a theoretical construct based on ideologically dependent models reliant upon apparently inexhaustible funding. But, like your vaunted butterflies, any effect is quickly overcome by local conditions. When Prometheus brought fire to man…perhaps Zeus was a CAGWer, that’s why Prometheus was punished! Pushed along by Margret Thatcher war on the coal miner union and giving huge amount of money to “study of problem”. There might be said to be two start points, one leading directly to the other, a million years apart. It has been stated here and elsewhere that the Global Warming campaign was designed as a means to reduce the impact of humans on the Earth. The Club of Rome along with Erlich were concerned that increasing population would destroy the planet so a method should be developed to limit growth. Since then we have observed a decrease in populations in Europe as those countries became richer and healthier. Likewise in other Western nations. Even in places like India the better educated families are having fewer children. It would appear that the way to curb population growth is not by stifling rich countries but by encouraging prosperity in poor countries. We do best by having trickle down prosperity than by trickle up poverty. It is obvious that the members of the Club of Rome and the UN would know this so why do they perpetuate the myth that preventing access to cheap power will save the world? It seems the ones making the biggest noise are already very rich whether they be film makers, financiers or ex vice presidents. They all want to be even more rich and few if any want to share their wealth with the poor. They are fighting hard now because they know the game is up but I am bemused that the President of the US is now pushing the AGW barrow even harder as his less than successful term comes to an end. This scam has nothing to do with the health of the planet and everything to do with the health of the bank balances of the self appointed saviours. What’s in it for Obama? that is the question you folk in the US need to ask. You asked above for input on when anthropogenic global warming began. My position is that the entire “warming” is a statistical fluke, created by a series of colder-than-normal winters centered around 1980. Yes, it not a debate, rather it political campaign of powerful corporate and state controlled media. As a political campaign, and a political campaign which so much in a fever swamp that does even want something like the attraction of “presidential debate”, and it explains the slogan, the “science is settled”. Which a hopelessly stupid thing for any scientist to claim, but is the stuff a troglodyte politicians can be expected to say. But the propaganda war mongers lost their war. For a numbers of reasons. First their generals were all incompetent in managing their massive army. And the “weather changed”- so it’s Napoleon assaulting Russia in early winter all over again- btw, would have been lost war had it been summer. And a large global recession that politicians which media supported, created, also dampen the appeal of even more excessively wild government spending- hundreds of billions or trillions depending how want to measure it, which of course involved massive government fraud and waste which obviously created too much unemployment and poverty in general. And such things as there are too big to fail. So if the politicians had sunk the ship, whereas otherwise the ship may have continued to float for a longer time. A measure of he scale of corruption can seem in endless studies, which “had” to be related to “global warming”, so a thick phone book of how everything imaginable is caused by global warming. Quite – but a departure of, say, 5 deg from the “normal” on a graph using the Kelvin scale wouldn’t appear particularly alarming either. However, the last time the earth’s average temperature was 5k lower than to-day mile-high ice sheets covered much of northern Europe and America. Global warming began its recovery after the last Snowball Earth, was halted a few times by the ice ages (big and little), and for the past 150 or so years has been slowly been returning to NORMAL. As if there is such a thing. Snowball earth bad, warm earth good. This reminds me of how implied figures for non-combustion human CO2 emissions can be junk. The reported net flux of carbon from land use change makes no mention whatsoever of considering the enormous effect of carbon fertilization, let alone doing so accurately, in the abstract linked of the paywalled paper. Those few quoted words matter more than the other 74 pages, but superficial impressiveness is effective on the naive falling for a formal writing style. If someone tries to defend such by saying “land use change” doesn’t have to consider carbon fertilization, by definition, I’d practically laugh at the worthless cop-out: arguably technically true but irrelevant to how much such misleads readers in practice. As human fuel combustion amounts to an annual gigatonnage of CO2 emissions near double the measured rate of net CO2 rise in the atmosphere and since the net amount going into the oceans isn’t enough to cover all the remainder, there is the “missing sink.” It isn’t really a missing sink, though. CO2 doesn’t magically cease to exist. By process of elimination, there is net flow of CO2 into vegetation/land (with emissions from them being overall negative aside from fuel combustion), which is unsurprising in contexts ranging from a multitude of studies on co2science.org to how satellite-measured global net terrestrial primary production increased by several percent per decade during the period of global warming (Nemani et al. 2003, for instance). However, calling it by its proper name, carbon fertilization, would be like discussing global warming predictions while using the specific term CAGW rather than “climate change” and so admitting that global cooling is contradictory: not sufficiently dishonest. The missing variable fallacy of neglecting a factor entirely, implicitly treating it as 0% effect, minimizing mention to quickly skip on (except when the target audience unavoidably already has heard of it), is common when something is so extraordinarily dangerous to the CAGW movement as to be he-who-must-not-be-named to them, a distinction which belongs to the magnitude of beneficial effects of CO2 (several tens of percent rise in plant growth rates under a more extreme scenario of CO2 doubling, plus as huge a rise in water usage efficiency, if the plants aren’t underfertilized meanwhile) and to the dominating influence of cosmic rays on climate as in the link in my name. And, on another topic, as the obligatory note when an article publishes solely false temperature data from CRU / their ilk: There was no mere temperature plateau in the 1950s-1970s but far more cooling then, as the plots of the time showed, like those illustrated in my link. And when will the warming re-start? When the two main guys looking after the satellite records are replaced with CAGW apologists. ! In the sense the climate obsessed mean the question, “When did AGW begin?”, which is “When did the cliamte catastrophe begin?”, the answer is never. The continued deconstruction of the CAGW meme continues. As to Mr Mosher’s claim that the Earth’s climate is sensitive to “perturbations”. Willis E. wrote an article here at WUWT that showed the atmosphere is resilient and rebounds from the effects of volcanoes. What greater perturbation than a volcano? So, I ask, where’s the evidence of sensitivity to perturbations? When I look at the history of climate in the last 150 years or so, I see only stability. Coincidentally that is exactly what I was told at SkepSci. The main problem with that claim is that solar forcing was higher in the second half of the 20th century than in the first. That would mean that the late 20th century rise would have to be mostly solar since it is pretty much the same slope. However, the last time the earth’s average temperature was 5k lower than to-day mile-high ice sheets covered much of northern Europe and America. Fine. Shrink it to a 10 degree scale. We’re still talking very stable temperatures over a very long time, and the variation in the last 130 years is mice nuts. Not to mention that those ice sheets didn’t appear over night, they grew over a time period irrelevant to the debate. We discuss at length the increase in atmospheric carbon dioxide from some 300 to 400 ppm in +/- 300 years because, allegedly all by itself, it increases the Earth’s greenhouse effect, which has/will increase the Earth’s temperature. Nobody seems to want to discuss the effect of changes in water vapour over the same 300 years which we all know has a green house effect some 40 times greater than the relatively insignificant CO2? So which effect is stronger, water vapor’s cooling effect or warming effect? Interestingly, it is seldom mentioned in the global warming debate that the surface cooling effect of evaporation (which creates water vapor) is stronger than its greenhouse warming effect. Clouds do both depending on which season it is. Clouds can trap warmth generated by the earth, in winter. That’s why frost doesn’t form here if it is overcast. But it also shades us in hotter weather. A simple example is the desert reasons, they have a hot day followed by a very cold night. No clouds. In their winter months the night time temps can go minus. Your ‘blue’ comments are always so informative. Not to mention that those ice sheets didn’t appear over night, they grew over a time period irrelevant to the debate. And before I forget, the ice sheets were a consequence of external forcing of the system due to orbital eccentricities. This is completely different from Mosher’s claim which is that the system can easily be perturbed by forcings that are internal to the system. As the temperature data from major volcanic eruptions shows, the system is highly resilient and recovers rapidly. You could argue I suppose that continental drift played a factor and that is an internal forcing but frankly, if you have to move a continent to make my assertion false, I’m no more concerned than I am about a few tenths of a degree over 130 years. If you want to get nitpicky about it, how about “the first time a human exhaled”? I’d rather study questions that have greater effects on reality, such as “How long ago did politicians discover that making up phony emergencies wins popular support?” I’d guess it was long before the first democratic government, since all or most religions appear to have been invented to take advantage of exactly that principle. It’s not ‘Anthropogenic Warming’, its ‘Homocentric Warming’. I don’t care what physicists say about CO2, historical & modern data says there is no correlation between atmospheric CO2 levels & temperature, except in that warming raises CO2 levels. Murray Salby also shows that mankind’s CO2 does not dominate atmospheric CO2 increases, in fact in some years, despite our emissions, CO2 levels fail to increase at all ! We are merely re-releasing a tiny portion of the trapped CO2 that was once part of the atmosphere and it wasn’t too warm then and we are still in a state of impoverishment of atmospheric CO2, yet nitwits preach ‘Runaway warming’ & ‘ Tipping Points’. Adding water to a bucket will increase its level but how much does that bucket of water raise a sea ? This notion that our trace of a trace constituent can somehow overwhelm all other climate factors to send the temperature spiralling one way or another & that it can be remedied by forcibly redistributing the wealth of free people’s into the hands of crisis constructors is the most idiotic cause mankind has ever championed. Most of what you see is what is created by the various adjustments added to “correct” the original data. HadSST for instance cools the 19th c. thus reducing the cooling to 1900, it inserts a 0.5 degree cooling post WWII and adds a little warming later. If one were to be cynical , one could conclude that the data has been intentionally manipulated to fit the CO2 hypothesis. If one is of a generous nature, not prone to “conspiratorialed idealisationisms ” one could conclude that the data has been accidentally manipulated in a way that, coincidentally, fits the CO2 hypothesis. We can then look at some of the public statements of the Met. Office’s “cheif scientist” Julia Slingo, to decide which of these interpretations best fits the predominant mentality in the postitions of influence in that organisation. We can then look at current presentations over at Berkeley Earth to understand their mindset and decide why they chose to integrate this particular SST record to create a land+sea dataset. My computer is acting up again. The long term scientific investigation of the Amazon, showed that cutting down huge tracks of rain forest for agricultural use, did cause a lift in the cloud cover and precipitation. They recommended for every acre of rain forest cleared an equal number of rain forest should be left intact. With the Aswan dam, yes initially, the delta fishing industry failed because of the lack of silt brought down by the annual flood, it corrected after 30 years. Also malaria increased and that snail infestation was rife at first. But vaccinations were invented for the snail, and they flooded stagnant water. However, farmers were forced to now use fertilisers that increased the cost of crop production. So pollution can be curbed. And so can SMOGS. Warming has officially ‘restarted’ in Wisconsin. Made it all the way up to 52F, in Winnebago County today. My brother informs me they had their first barbeque of the year…. above freezing. And the ice is sooooooo thick and hard on Lake Winnebago and Lake Buttes Des Morts that they are still driving trucks out on them for ice fishing. Now, for more important news! The University of Wisconsin – Madison fighting Badgers mens basketball team is IN THE FINAL FOUR! Just as well basketball is held inside. Go UofW! 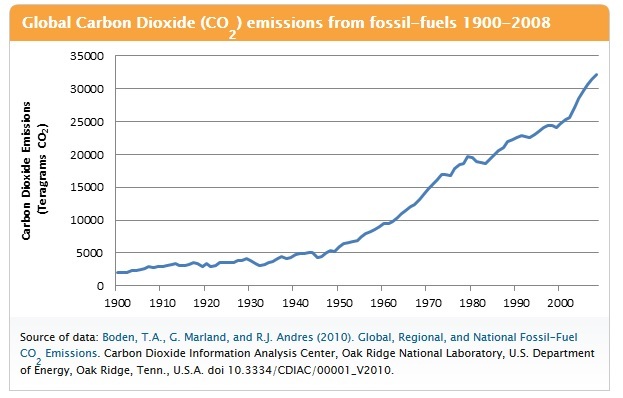 One thing that is a bit interesting is that more fossil based CO2 has been sequestered since 1950 than all the CO2 emissions + land use changes before 1950. Kind of puts the pre-1950 impact in perspective. If one believes that CO2 does have a warming influence then clearly our impact began as soon as we started influencing the total atmospheric CO2. But, given that the influence appears to be trivial, then some small portion of a trivial impact is not very interesting. Instead of “When” why not ask “Why” ! As in, What evidence exists of ‘Anthropogenic’ ? Why does the Earth ‘warm’ by ‘Anthropogens’. What is the power potential of ‘Anthropogens’ ? What is the mechanism responsible for transferring ‘warming’ from ‘Anthropogens’ to the Earth ? Are ‘Anthropogens’ an endangered political species ? Good info for people like me. And I would go further and say that Callendar around 1940 had a better argument on the available evidence than anyone today. Back then they were looking at an impressively persistent steady rise across the NH temperature for 50 years. Today’s alarmist lack the luxury of their ignorance of the possibility of two extended pauses. Being a devil’s advocate here, since we know that the response to CO2 is logarithmic the response to the small increase pre 1950 is expected to be greater than the response to the larger increase post 1950. However, Meehl et al, 2004 is model based, i.e. ; ” The late-twentieth-century warming can only be reproduced in the model with anthropogenic forcing (mainly GHGs), while the early twentieth-century warming is mainly caused by natural forcing in the model (mainly solar).” thus even their claim the “warming occurring in the first half of the twentieth century up to about .+0.1 C” is suspect. But where is the cooling? It is a travesty we cannot find the cooling. We don’t yet know because we have not yet devised a method of confidently separating natural from AG causes and effects. Thanks for the shoutout from the Land Down Undah! Nice to know there are Badger fans under the Southern Cross! It’s based in a spike in methane which Ruddiman deems “anomalous” from the amplitude shown in 14 previous “natural” cycles. His baseline graph, (see page 3 of the link), shows a 350 k year. record of ice cores from Greenland and Antarctica, with insolation and methane in relative synchrony, until the most recent crest (5,000 years bp), when methane staged an apparently sharp departure upwards relative to the insolation. I’m not a subscriber. Just providing what looks like the outside fringe answer to your question. I’m still skeptical of paleo records, since they can be fiddled in any number of ways. But this provides a better look into Ruddiman’s hypothesis than the link I gave a above. This year, you will have to smoke to orchards, because the flowers be cold. When it deviated from the World’s perfect global temperature, which is…………………..? Anyone? Eli Rabbett had to change the question, but with him, it’s hare today, gone tomorrow. I’m not going to link to him straight. The above statement is about like saying that we can be “somewhat confident” that the climate of the earth without God would be different than the climate of the earth with God.Your observation is only a statement of faith-based ideology, totally unscientific, and arbitrarily a priori on your part. I don’t know how “confident” at all you can be, Mosh. Show me some real, credible evidence that this is actually the case, especially in light of the fact that the climate of the earth was so variable and nasty before the emergence of humanity (after all, it is the “butterfly” effect that Konrad Lorenz was talking about, not the “human” effect). The truth is, you have no evidence, other than highly complicated and speculative models with nothing but garbage assumptions behind them. Which is why the models are not currently coinciding with observations. I think safe to say it wasn’t during the Little Ice Age. And as far as long term our Ice Box Climate is not good- having about 1/2 the land area under a mile of ice would not even make the most avid skiers happy. So in regards to the longer term for humans and life in general the last few million years has not been good. I think if about 5 C warmer it would be better. And I think it would tend to cause the Russians less evil.. Although other responses to Steven Mosher were good, I must heartily concur with yours. Your response is a better one than mine, to be sure. Humans have always influenced the climate and the environment. As does all life, in sufficient numbers. Trees, plankton, termites, herding ruminants, etc. are all parts of the bio influence on climate. However, I do not believe that the evidence shows the climate is so easily perturbed by small changes in atmospheric gasses or even particulates. Krakatoa, Pinatubo and other volcanoes in historic times did not trigger perturbations that swung in worse and worse arcs of out of control feedbacks and forcings. In the face of rising CO2 we see cyclone rates flat to down, and ditto for drought, flood, snow, heat and cold. So the question of when AGW began is in a sense meaningless in the way the climate obsessed mean it. “Climate change” is human created in the sense that humans created a story to put people at the center of climate. Like the great flood stories put humans displeasing God at the center of why floods happen, AGW puts human use of technology at the center of a story to explain why bad weather happens today. Those that be;believe once suggested that the medieval warm period must be made to go away. I have the sneaking suspicion that the doom mongers have have managed to “adjust” most of the 1930/40s warm PDO peak out of existence. Man likes to have an impression that has control of the Cosmos, or at least above the Earth. But the Earth is a small part of Cosmos. Never. It doesn’t exist, so it can’t have begun, or begin. The planet absorbs our influences and effects with barely a twitch. Nugatory and negligible. AGW? Never. If it did, where’s the smoking gun? Given the development of the past 2,000 years, for which we have records from both Europe and Asia, I’m 100% convinced that we’re observing a natural phenomenon, a natural fluctuation. Up, down, up, down, up and eventually down again. How could the ancient Romans and Chinese create temperatures similar to today without all the CO2? How could the people in medieval Europe, China and Japan do the same? Current warming is neither unusual nor rapid. History reveals periods of faster and more rapid temperature rise. CO2 does NOT cause warming. It began when “saving the world” became *the* desired secular religious experience. Looking at the three non warming periods over the past 130 years, it seems that the cooling rate decreased for the second, and now appears zero for the current (third). This is consistant with an increasing rate of forcing. Given that the initial forcing rate would be very small, it seems rather pointless to try and pinpoint the start!! I find it rather fascinating that when humans largely represented people who had faith in a God, and followed a religious faith, they had reason to be optimistic. People only had to pray to God. They only had to have faith. And they did. And it helped them face tomorrow with excitement of what a new day brings. Unfortunately, in this day and age of atheism, with people doubting the existence of God and not following or practising a religious faith, it seems these people still need to have faith in something… IPCC climate alarmism and environmentalism. Such people think their role is to convert the non-believers. And all they see is a pessimistic future because humans are sinning against Earth’s plants and animals, and humans are the cause of a coming climate catastrophe. The creation of global warming alarmism is a non-problem that has become a mental health issue to those lost souls promoting climate alarmism, who should, instead, be directing their efforts to a positive future. However, you have to accept that solar activity is the lowest since 100 years, and the sun’s magnetic field behaves atypically. 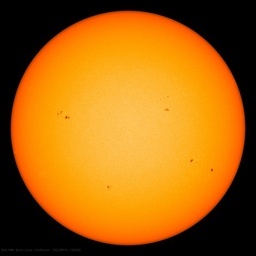 This could mean a long period of weak solar activity. This will have a huge impact on the stratosphere. if we are having an effect it seems to be beneficial. Increased levels of carbon dioxide have helped boost green foliage across the world’s arid regions over the past 30 years through a process called carbon dioxide fertilization, according to new research. After all, mankind has identified with many versions of gods. Slowly, in some parts, their numbers diminished, so that for some it’s either one; or none, which is my atheist desiderata. There is another alternative; Celtic Paganism. Who shall we propose to be the Wicker Man? Mucus Mann or Death Trains Jimmy? We’ll need someone to compose an “Ode to the Sacrifice”. Question: When Did Anthropogenic Global Warming Begin? Answer: “So when the woman saw that the tree was good for food, and that it was a delight to the eyes, and that the tree was to be desired to make one wise, she took of its fruit and ate, and she also gave some to her husband who was with her, and he ate.” There you go … Everybody knows that eating too many apples causes flatulence, that flatulence contains methane, that methane is a greenhouse gas, that greenhouse gasses cause global warming, ergo … it’s been going on for a very, very long time. The Warmists deliberately conflate the warming since the LIA, or “modern warming” with a more recent, and short-lived period of warming lasting roughly 20 years, from the late 70’s to late 90’s. They need people to be confused about that. In the same manner, they conflate issues of real pollution – soot and aeorosols which degrade the quality of our air with the fake pollution they call “carbon”. I agree completely. But what do I know I’m an atheist myself. The difference is I have accepted my atheism as a true belief rather than a cynical fad (perhaps fad is not extreme enough). And I am optimistic about the future. Not the immediate future unfortunately, but the future after these “lost souls” have withered away. And to make things even more challenging to the mental health of these lost souls enviros; in my job as an environmental manager for a manufacturing company and previously for a hazardous waste disposal company I have done and do more to protect the environment then they have achieved. Which makes me even more blasphemous. Edohiguma, the historical record is always the hammer for me … the Warmistas do everything they can to avoid it. Soooooo the IPCC should be saying that man was responsible for most of the warming since 1975? As for the standstill since 1997 it’s still our fault. 22 years of man-made global warming, 17 years of surface temperature standstill and there’s a 97% consensus! I do note that the IPCC has said MOST of the warming was down to man since 1950, so take out the natural warming and what the heck do you have left? We often here about how the world has warmed since the end of the Little Ice Age but the above post begs some difficult questions. A lot of detailed debating here, but … All I can see is big increases in anthropogenic emissions +appear+ to cause 20-year pauses in natural temperature increases. It mostly ended at 160ppm below which all plants die. AGW is a result of the panic caused in Gov. circles that GC/Glaciation was on its way in the 70`s and so it decided to point everybody in the opposite direction as intervening `Solar Max` fortunately arrived to delay things – AGW consequences can be handled but GCooling and the prospect of mass Southerly Exodus in US and/or Europe & Asia could not – Co2 is likely a Top of the Trop coolant as well as being a modest GHG in my book. Good comment. Who decides on certainty? The IPCC? I say wait and look at the satellite temps V projections. If it doesn’t do anything scary, continue to wait. Right now it’s not scary (17 years of standstill). The actions that make sense are basically to carry on doing what we have been doing since before the last glaciation – adapt to the climate and weather. There is nothing certain about the IPCC’s scary scenarios or failed projections. Who would take chemotherapy for a cold? This what the world is being asked to do. One could argue that we are being asked to take chemotherapy for having strong, lustrous hair! (Benefits of warm). The pattern looks to track quite well with the amount of solid fuel burnt (i.e. coal). When this increases there is no increase in temperature, but when it stays constant, there is a rapid rise. To be more clear, I’m referring to forcing above a baseline of 280 ppm “natural”. This isn’t particularly controversial. Using some of the standard estimates for forcing, . . .
Are those the same “standard estimates for forcing” that can’t explain why Global Warming stopped in the late 1990s or early 2000s . . . I was looking at Amman 2007 ( http://www.pnas.org/content/104/10/3713.full.pdf ) for a historic solar forcing estimate. My bigger point is that it’s kind of silly suggest that a particular forcing (CO2 in this article) is “de minimis” without considering the magnitude effect of other recognized forcings and internal variability. Admittedly these are not quantified as well as one might hope the further back into the record one goes. What many seem to miss is that, while it means my statements are not impervious to criticism, the same goes for the line of reasoning pursued in this post. 1 – the CO2 causation theory is over-stated. There is an effect, but it’s about an order of magnitude below estimates and so largely immaterial. Bottom line: we know the CO2 scare isn’t real – but we don’t know whether we’re getting warmer, cooler, or changing at all. So The AGW/CC scare is doing its job then! (OMS). Animals and plants have “influenced” the climate from day 1. The climate has “influenced” humans from day 1. During a time of dramatic climate change, modern humans (Homo sapiens) evolved in Africa. Like early humans, modern humans gathered and hunted food. They evolved behaviors that helped them respond to the challenges of survival……..
MarkB, all you are saying is that the conjecture of our CO2 warming the earth “could” be right, even though the facts don’t show it. And the Loch Ness monster “could” be real, as well as Bigfoot. Yes, we just need to look harder. 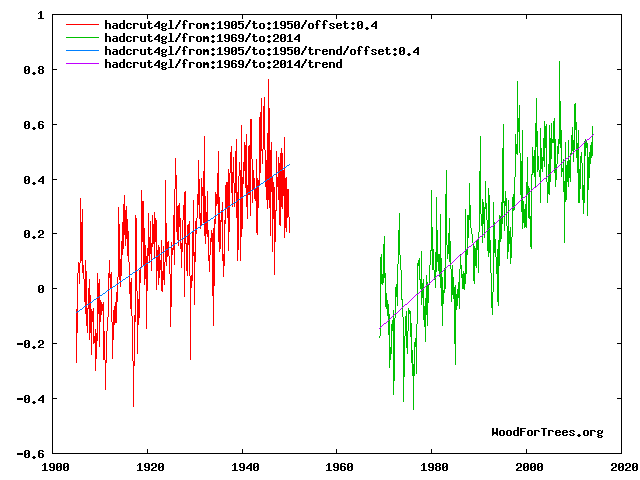 Maybe just compare cycle 20 and 24 and the a graph will become clear? When big silver birds in sky started reflecting radiation and pumping out heat. Well they reflect more radiation than CO2 per square metre. Since when is 280 ppm a natural baseline? It is worth comparing the galactic radiation in cycles 20 and 24 It was much stronger than at high cycles. I do not think Anthropogenic Global Warming has ever started. I think the warming from 1980 to 1998 was mainly due to natural oceanic causes, with some help from additional natural and man-released CO2. Same for 1910 to 1945. I do not believe CO2 is the climate’s control knob, as I heard at AGU’s years ago. oh, around 8000 years ago, when humans developed agriculture (rice paddies) and animal husbandry, thus increasing methane emissions. Otherwise we’d be in the next ice age by now, according to Dr. Milankovic. 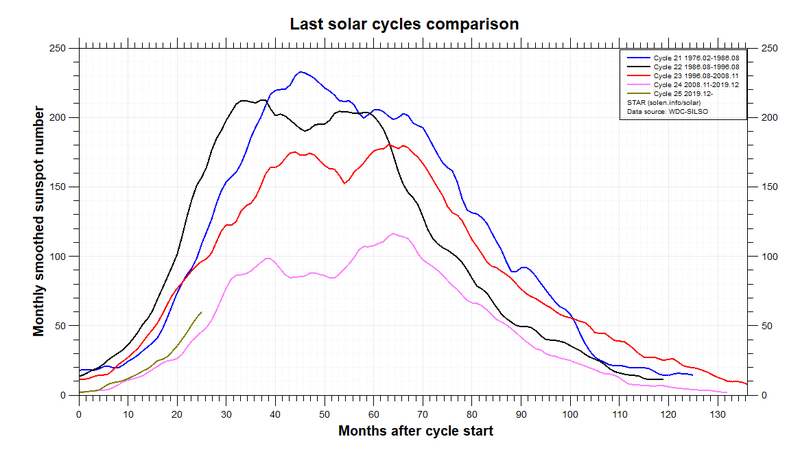 I was looking at Amman 2007 ( http://www.pnas.org/content/104/10/3713.full.pdf ) for a historic solar forcing estimate. My bigger point is that it’s kind of silly suggest that a particular forcing (CO2 in this article) is “de minimis” without considering the magnitude effect of other recognized forcings and internal variability. If you actually look at the change in Net Flux of Carbon to the Atmosphere from Land-Use Changes between 1900 and 1950, it is de minimis. In terms of total CO2 forcing, I wrote that “the warming from 1910 – 1940” was “before Anthropogenic CO2 became potentially consequential” and no one has presented any evidence to refute that. There have been billions of dollars spent and thousands of studies conducted on Anthropogenic CO2, show us credible research that indicates Anthropogenic CO2 had a significant influence on increased CO2 levels from 295.7 ppm in 1900 to 311.3 ppm in 1940, and furthermore that this increase in CO2 levels was sufficient to have a significant influence on Earth’s temperature. Admittedly these are not quantified as well as one might hope the further back into the record one goes. There’s an understatement, how about our data is crap, our understanding is rudimentary and that model based paper is nothing more than guesswork? What many seem to miss is that, while it means my statements are not impervious to criticism, the same goes for the line of reasoning pursued in this post. Nothing is impervious to criticism, however in this case your criticism is unfounded and in no way challenges the findings of this article. In my opinion, CAGW began …. in the minds of a few scientists ….. post 1960 when more accurate measurements of atmospheric CO2 were being made …. and was then per se, “reverse engineered” back to circa 1880 beginning in the early 1980’s. Sure nuff “climate change” began earlier, …. like 23,000 years earlier. The earth is currently experiencing one of said Interglacial Periods of global warming “Climate Change” (IPGW or IPGWCC) that began some 23,000 years ago ….. and which is still in progress as far as I know ….. simply because there is no evidence that suggests a new Ice Age has begun. Given the above said, anyone that ascribes to the “consensus of opinions” that CAGW global warming started over 100 years ago, ….. specifically in 1880, …. and which said claims of CO2 causing Anthropogenic Global Warming Climate Change (CAGW) makes no mention of the “warming” associated with the IPGW, …. then their claims of CAGW can only means one (1) thing. And that is, …. they have high-jacked all of the IPGW warming from 1880 to present …. and attributed it to their “junk science” claims of CAGW. The IPGW warming that has been in progress for the past 23,000 years didn’t “suddenly stop” …. just because the NWS started recording surface temperatures herein the US in 1880. But how can that possibly be …. when the ocean waters have been warming and the fact that the great forest across North America were being “clear cut” beginning in the early 1700’s and extending thru to the mid 1900’s? Great forests of “hardwood” trees are great “sinks” for CO2. First we had to industrialize 4 hemispheres add population, automobiles, airplane traffic, etc.. Cumulative effect reaching culmination in the 80’s? Changes in magnetic field strength’s in various locations, affecting solar inputs. etc… Dayside magnetic field mergers at null points in the field. Dayside cusp refilling and trapping of plasmas.. Stuff climate models didn’t even know existed.. CLUSTER mission thinks they saw 3 cusps? Same time I have the Earth Wind Map open to N. Pole at 70 hPa depicting 3 major vortices.. OMG..Freak out coincidence..
Just the Facts: Where above do you actually prove that CO2 at ANY level can cause temperature to go up? I’m not talking about correlation, but causation. If you can’t show that it causes a temperature increase, it’s hard to insinuate when it’s effects started. Got a Dr. S., type question. If the Earth’s magnetosphere is anagolous to a spring action, then during times of reduced solar wind and reduced solar magnetic field and reduced plasma, the tension of the spring is more relaxed and will change cusp, null point locations, for periods of time..? if you have enough solar energetic particles, you can warm just about anything, even CO2. Carla-date information on the geomagnetic field. … Nothing is impervious to criticism, however in this case your criticism is unfounded and in no way challenges the findings of this article. Maybe I’m the only one having trouble here, but I don’t understand why you’ve presented an argument based on emissions and land use data estimates when the significant parameter (atmospheric CO2 concentration) has been more directly and precisely measured via ice core data. I presume you’re making the link to “anthropogenic”, but it seems that leaves the problem of explaining CO2 rise in the more reliable data set. My other point of confusion is that you’re declaring “significance” of the effect without a clear criteria for what is and isn’t significant. Per my crap data source (and consistent with ice cores) the atmospheric CO2 100 years ago was about 300 ppm. In 1950 it was 310 ppm. 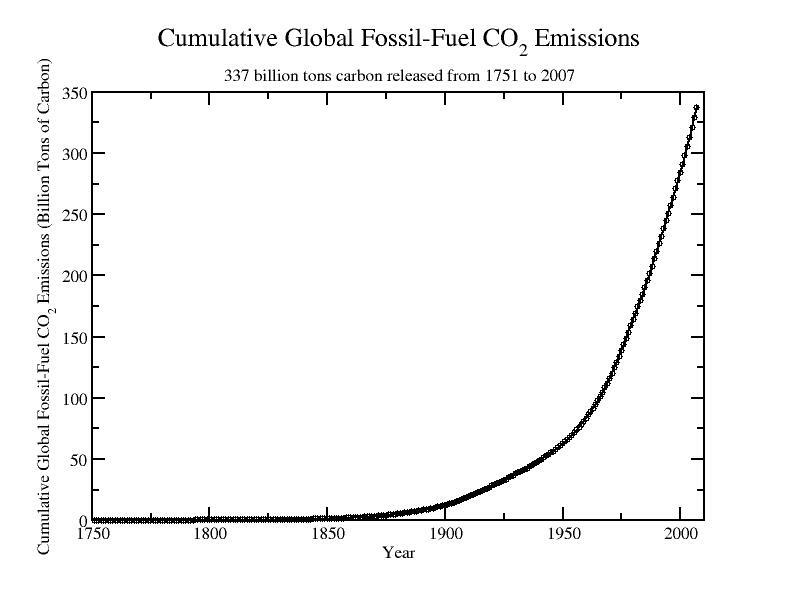 If one grants that forcing is proportional to the logarithm of concentration then current CO2 forcing (about 400 ppm) above baseline (280 ppm) is a little over 5 times greater than 1914 and about 3.5 times greater than 1950. If 3.5 is your threshold for significance, so be it, but it seems kind of arbitrary. I prefer, as I tried to indicate above, a point where the CO2 forcing is plausibly of similar magnitude to confounding effects in the temperature record. You asked the question, I posed an answer and gave my rational. Until somebody comes up with proof that CO2 “traps heat energy” the concept of anthropogenic global warming is just another crackpot idea. Don’t hold your breath. Thanks Mr.Ren. Was thinking recently that I needed a magnetic field coordinate system overlaid on the geophysical system. Be cool to see that over at Earth Wind Map. Because I was thinking that in the eastward and westward drift of the magnetic equator, might be some other drifts and a relaxing of polar fields with a trickle down effect during times of lower solar wind dynamic pressures. Could be more mid latitude flux variations or lower than were used to…gee lower the atmosphere thermosphere and the whole things trickles down with it..
What amount of CO2 in the atmosphere engenders ANY warming? 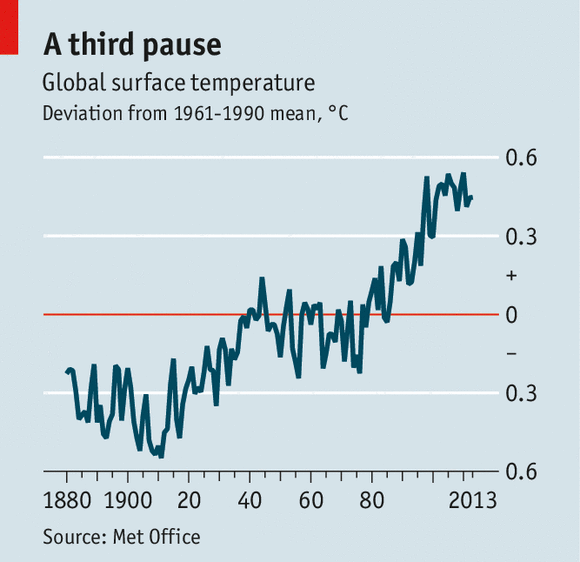 What amount (if any) represents a so-called “tipping point” of runaway warming? If, as he says, “Adding more (CO2) ‘should’ cause warming, with the magnitude of that warming being the real question…” then the minuscule amount of CO2 / methane created by paleo societies in their forest-burning agriculture 5,000 years ago had some part in creating the anthropocene. Voila: the Ruddiman hype (othesis) is vindicated. Maybe I’m the only one having trouble here, but I don’t understand why you’ve presented an argument based on emissions and land use data estimates when the significant parameter (atmospheric CO2 concentration) has been more directly and precisely measured via ice core data. I presume you’re making the link to “anthropogenic”, but it seems that leaves the problem of explaining CO2 rise in the more reliable data set. especially between 1900 and 1950? Secondly, if yes to the first question, then was the influence of this incremental increase in CO2 concentrations on Earth’s temperature? My other point of confusion is that you’re declaring “significance” of the effect without a clear criteria for what is and isn’t significant. I think you may be confused because your didn’t read the article. At no point did I refer to the significance of the anthropogenic influence on the increase in CO2 prior to 1950, nor the significance of of the increase in CO2 on Earth’s temperatures, thus there was no need to define “clear criteria for what is and isn’t significant”. Per my crap data source (and consistent with ice cores) the atmospheric CO2 100 years ago was about 300 ppm. In 1950 it was 310 ppm. What portion of this increase in CO2 was natural versus anthropogenic? 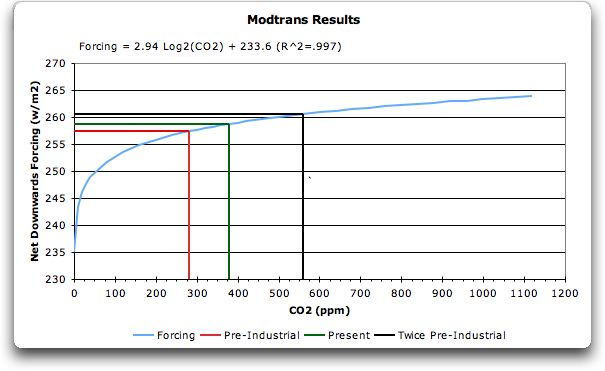 If one grants that forcing is proportional to the logarithm of concentration then current CO2 forcing (about 400 ppm) above baseline (280 ppm) is a little over 5 times greater than 1914 and about 3.5 times greater than 1950. You are erroneously assuming that all of the increase in CO2 between 1900 and 1950 was Anthropogenic, and furthermore, the 1950 concentration is irrelevant, as the warming stated in 1910 and continued only until 1940. The question is whether Anthropogenic CO2 was potentially consequential on the Earth’s warming between 1910 and 1940. If 3.5 is your threshold for significance, so be it, but it seems kind of arbitrary. I prefer, as I tried to indicate above, a point where the CO2 forcing is plausibly of similar magnitude to confounding effects in the temperature record. You asked the question, I posed an answer and gave my rational. It is all arbitrary and I have zero confidence in our ability to accurately measure / estimate Earth’s temperature, CO2 concentrations and Anthropogenic contributions to CO2 prior to 1950. As such, I restate my conclusion that, “there is not compelling evidence that Anthropogenic CO2 was sufficient to have an influence Earth’s temperatures prior to 1950”. Assume you mean since the end of the last glacial phase, not interglacial, in one of which we currently are. CO2 fell from the previous interglacial, the Eemian, during the next glacial phase, the Wisconsin (most of North America), Tioga (Sierra Nevada), Merida (northern Andes), Llanquihue (Southern Andes), Devensian (Britain), Würm (Alps) or Weichselian (Scandinavia) glaciation. It is all arbitrary and I have zero confidence in our ability to accurately measure / estimate Earth’s temperature, CO2 concentrations and Anthropogenic contributions to CO2 prior to 1950. As such, I restate my conclusion that, “there is not compelling evidence that Anthropogenic CO2 was sufficient to have an influence Earth’s temperatures prior to 1950″. It might have saved us both a bit of time had you said so from the outset. Assume you mean since the end of the last glacial phase, not interglacial, in one of which we currently are. Correct, that should be the end of the last glacial period or the beginning of the current interglacial, and not a combination thereof. I posted this on Joanne Nova’s site on the weekend unthreaded. The red line is the estimate of the amount of warming that could be attributed to fossil fuel use (or any contribution that is growing exponentially). Note, it is on par with what many have found to be the amount by which the temperatures have been adjusted. It pretty much backs up your argument that anthropogenic contribution could only have commenced after 1950. It also gives some weight to the argument that humans have warmed the Earth, but if I had done the same with the 1981 data of Hansen (or current data adjusted back to be more like that plot) there would be a zero contribution from humans. JTFs: The IPCC attribution statement is limited to the period since 1950 precisely because studies fail to attribute a significant amount of warming before then to anthropogenic forcing. The explanation for pre-1950 temperature change (a subject AR4 WG1 avoided discussing) is natural variability (volcanos and solar) and unforced (internal) variability. 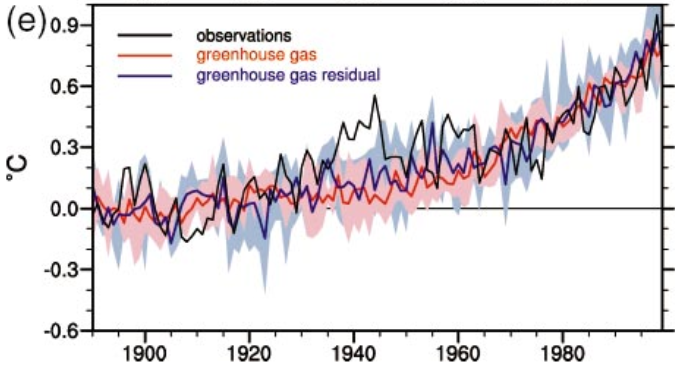 Depending on precisely when one starts, about 0.2 degC of warming took place before 1950 (with an unknown fraction of this warming possibly due to weak human forcing) and 0.6 degC of warming afterwards. Your single-minded focus on CO2 emission is misleading, the atmospheric concentration of CO2, other GHGs and aerosols all contribute to the net radiative forcing the planet has experienced. Comparing total forcing and warming is the only sensible approach, but the contribution from aerosols is highly uncertain. It’s interesting that graphs of CO2 vs time are easy to find, but graphs of total forcing with time are rare. We cannot tell if it began at all because the radiative forcing of atmospheric CO2 since the pre-industrial era is 1.66 W/m^2. The uncertainty in aerosol forcing is -2.5 W/m^2. Therefore it is possible the aerosols cancelled the CO2 forcing and the warming since 1950 is naturally caused. The 1978-1998 warming may be caused by the PDO warm phase in the same period. I just read the article again, and my tiny brain couldn’t find the bit where you covered that. Could you quote it for me? indicating that the attribution of increased CO2 concentrations to anthropogenic sources during the first half of the 20th century is highly questionable. “appear to have been drawn and offer no indication that any actual data was used in their development”. entered Moscow with his Grande Armee already severely depleted. to meet that contingency, and fumbled his response. You’re right, & IMO, the net effect of human activity since c. AD 1950 has been to cool rather than warm the planet, although not much in either direction. The cooling effects more than cancel out the warming “forcings”. OUT. STAND. ING. I’ve been wondering exactly this — when exactly in the temperature data can one first detect the alleged signal of human emissions? As far as I can tell, the official answer for FAR, SAR, and 3AR was “after WW II”. The new answer appears to be “you shouldn’t ask that” or “it depends on this year’s narrative”. Dan – I just had a quick look at what you have written and it is interesting. I will read it thoroughly soon. With regards to what I did, it was mostly to point out that the fitting a model to the rate of change in temperature would be more enlightening when arguing how much contribution from human development there could be (what would be the contribution that increased exponentially). There was no attempt to explain what the causes were so the model needed to be simple and number of variably parameters kept to a bare minimum. That exponential contribution could still be natural (as it looks like you have shown) or even the way the data was collated. Its more the maximum that could be claimed is due to human fossil fuel use rather than is a measure of how much. You don’t directly state that anywhere in the quotes your provide. Referring to certain records as suspect isn’t the same as directly stating that you have 0% confidence in temp and CO2 figures prior to 1950. I’m with MarkB on this one. Why not just state it, rather than expecting people to infer it from other things you’ve said, especially when those other things don’t explicitly infer your absolute position on the issue. I would have to make many assumptions to come to the statement in question, purely based on what you said previously. We are an ice planet, and there have been many inter-glacials that don’t effect all the globe for starters. The problem here is that humans and their precursors, didn’t live long like us today, and that if they had a warm period that only lasted 100 years that could account for 4 generations. In the last 2,000 years, famines did affect those that could not move away to find greener pastures (includes wild animals) disease like the black death and small pox, killed millions and millions. The same as wars. Add a cold period and malnutrition results in early death as well as syphilis, TB, that killed huge amounts of Londoners and young people and children. SMOGs in London in the Victorian era and in the 1950s killed thousands, and ill health of course for innumerable people. Even Prince Albert Queen Victoria’s husband died of Typhoid. There are billions of people living in subsistence farming communities, and displaced because of human caused wars and subsequent famines. Get the UN to help these unfortunate people. Bangladesh was once considered in danger of flooding, yet they depend on annual floods so that was a big porky (lie). Cities create their own micro-climates and UHI, and attract huge populations because of work availability. Subsequently they are subject to their own pollution. Don’t live on a river bank or coast because of floods and tsunamis, or a volcano, (look at Mt.Vesuvius’ eruptions and wonder what they can do to save millions if he explodes again. They can’t insure their homes by the way) and build cyclone and earthquake proof homes and buildings. Levies around flood prone regions, and make sure your dams are not vulnerable. As far as droughts in Australia are concerned, ‘what’s new’. 50 miles in from the coast precipitation decreases anyway. Excuse the rant. But if we have another cold period or ice age, the seas will drop eventually, not over night, and precipitation patterns will change. 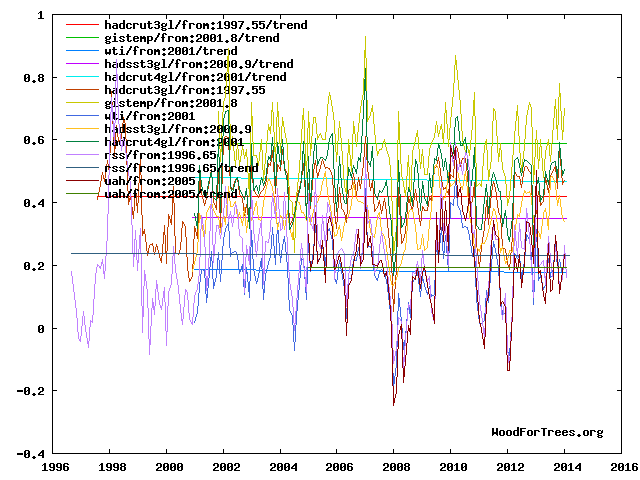 PDO can explain the temperature trends last century and the “pause” since 1998. There’s a short warm phase in 2005 perhaps this is why the trend is flat rather than cooling. Because the measurements are so bad, and the adjustments are so large, that the data is now arbitrary. Did you read this article? 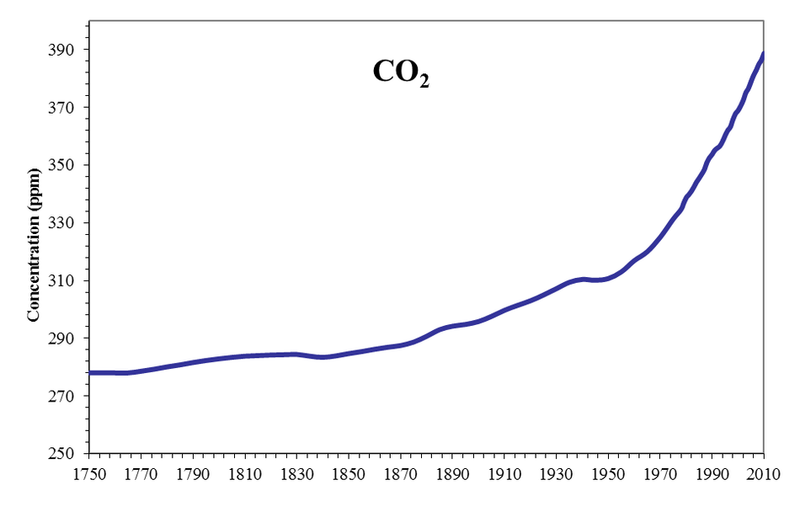 CO2 concentrations and Anthropogenic contributions to CO2 prior to 1950. If the 1850-1957 data provided the desired accuracy, why do you think there have so many improvements/adjustments since? Interesting. But serious global warming started around 12,000 years ago, when the planet slowly saw a gradual warming from the last glacial period. Thank goodness. With a few hotter and colder phases in between. It doesn’t seem that some tossers have realised this. But their fault is to blame human activities. What the UNIPCC are describing is what could happen if the weather globally gets colder. There would be no need for further explanation if you had explained sufficiently to be sure that you weren’t just saying there were weakness in certain records, but were rather saying that the records were totally useless. It is not reasonable to expect someone else to have inferred that from your statements without further guidance as to exactly what you think those things mean. I know what you mean now, thanks to the discussion with MarkB, but I wouldn’t know what I do now without it, just going on what was already presented. AGW & CC is a political agenda which even the best Science will not deter as good Scientists are very few while there are bad-uns galore. What I wrote was “I have zero confidence in our ability to accurately measure / estimate Earth’s temperature, CO2 concentrations and Anthropogenic contributions to CO2 prior to 1950”. The point is that the whole basis of the flimsy CAGW narrative is 1950 to present, because their is no evidence of a consequential anthropogenic contribution to CO2 prior to 1950 and the data prior to 1950 is highly suspect. I disagree, and would guess that the majority of readers inferred that I had no confidence in the temperature data based upon the fact that I referred to it as highly suspect and questioned its use by BEST. However, I understand that you and MarkB did not, thus why there are comments, so you can ask questions and I can answer them. I would like to ask a question, I wonder if any of you can answer it for me. If man-made CO2 is such a driving factor, why is there no ‘bump’ in any of the charts during World War II? Compared to the 1930’s Great Depression, there was a huge increase in industrial activity in producing all the materials used in the war, as well as all the fuel burned in all the trucks, ships, airplanes, etc, and also the CO2 produced by all the burned cities. It just seems to em that all this SHOULD have produced SOMETHING in the CO2 charts, and if CO2 is such a driver of temperatures, a bump in the temperature charts. For every reaction there is a cause. The past ice ages were all caused by something very specific, right? It wasn’t just chance! And so the Arctic ice Cap has shrunk dramatically in summer over the past decase. and the cause is WHAT? 2. The sun got brighter! Large chunks of the Arctic ocean now absorb 90% of sunlight instead of reflecting it in summer.That is 900 % increase for those square miles affected. I would call that an expotential increase as opposed to a linear one. And common sense and high school physics dictate that the extra latent heat in the system has to manifest itself somewhere, and I say it does in the form of the weather anomaly pendulum swinging ever wider. Man now puts out as much CO2 as all the volcanoes on Earth combined. Common sense and high school physics dictates that that has to have SOME kind of effect on our atmosphere! DId you know that scientists once proposed that if we ever started slipping back into an ice age,all we had to do was take a bunch of planes and have them spread black soot on the Arctic Ice Cap to melt it! Show me the math – You are dead wrong. I will repeat – under today’s conditions of minimum Arctic sea ice extents from late August until early April every year, open Arctic ocean water loses more heat energy via increased evaporation, conduction, convective, and radiation losses than is gained from the little bit of solar energy that is absorbed by the open water. It does! Trees, plants, plankton, algae and very living thing on earth are growing faster, stronger, and higher and more productively than ever before! Food, fodder, fuel, and farming ALL benefit from the increased CO2 … Or did yo fail to read your high school biology books as well? David Costa, mmm, it’s volcanic dust that melts snow and glaciers, but only for a short time, as was demonstrated why Ortzi the ice man suddenly appeared after 5,000 years. But that was caused by dust settling on parts of the European Alps that absorbed light and sunlight warmth. It was a rare event. And it soon froze up again when the melt subsided.
. . . The point is that the whole basis of the flimsy CAGW narrative is 1950 to present, because their is no evidence of a consequential anthropogenic contribution to CO2 prior to 1950 and the data prior to 1950 is highly suspect. . . .
There’s the 13C/12C carbon isotope ratios from tree rings and high resolution ice cores that show a clear downward trend starting early in the 19th century consistent with the rise in atmospheric CO2 starting about the same time which some consider indicative of an anthropogenic contribution by that time period. Not sure if that’s on your “highly suspect” data list or not. “Now, as we burn fossil fuels, the ratio of C13 to C12 is going down. From what I can find digging around on the Internet, some people think this is the signature of anthropogenic emissions. But if you examine the above equation, you will see that the C13 index that is reported can go down not only from decreasing C13 content, but also from an increasing C12 content (the other 98.9% of the CO2). This does not appear to be indicative of anthropogenic influences, but rather natural Sea Surface Temperature variations. As such, assigning anthropogenic causation to C13/C12 Isotope ratios is highly suspect, and furthermore Wei et al. only found increasing trends “over the past 60 years”. I’m not clear why you think Wei etal supports Spencer’s hypothesis. It’s similar data to that presented by Ferdinand Engelbeen in the comments to the Spencer thread, (better summarized on his blog: http://www.ferdinand-engelbeen.be/klimaat/co2_measurements.html#The_13C12C_ratio ). I won’t rehash what was written there, but if the carbon isotope ratio in the upper ocean closely tracks the atmospheric trend, which the coral data suggests is the case, then Spencer’s premise is flawed. Short term atmospheric CO2 variation due to ocean out gassing would be expected to have the same signature as the atmosphere. Coral data aside, this is consistent with carbon cycle models in that the upper ocean exchange rate is high. As for “Wei et al. only found increasing trends ‘over the past 60 years'”, I read that as an “acceleration in the trend” rather than “no trend” prior to 60 years ago. There is clearly a linear downward trend prior to that. I don’t think anybody disputes that the rate of increase of atmospheric CO2 has been positive starting about 60 years ago. Looking further at Spencer’s analysis and wondering that he got exactly the same slope to 5 significant digits (figures 3 and 6), I think he’s screwed up his analysis. He doesn’t show the computations behind those figures, but it’s not apparent how detrending combined C12+C13 concentration in time would affect the C13/C12 ratio at any particular point in time. It appears figures 3 and 6 are precisely identical except for a constant offset, though the difference in axis size obscures this a bit. Perhaps I’m not understanding what he’s done but I think he’s looking for a temporal effect and the analysis discards time. Regardless, I think the premise is flawed as per the previous post. I’m not clear why you think Wei etal supports Spencer’s hypothesis. “1. The interannual relationship between SST and dCO2/dt is more than enough to explain the long term increase in CO2 since 1958. I’m not claiming that ALL of the Mauna Loa increase is all natural…some of it HAS to be anthropogenic…. but this evidence suggests that SST-related effects could be a big part of the CO2 increase. As for “Wei et al. only found increasing trends ‘over the past 60 years’”, I read that as an “acceleration in the trend” rather than “no trend” prior to 60 years ago. There is clearly a linear downward trend prior to that. I don’t think anybody disputes that the rate of increase of atmospheric CO2 has been positive starting about 60 years ago. Looking further at Spencer’s analysis and wondering that he got exactly the same slope to 5 significant digits (figures 3 and 6), I think he’s screwed up his analysis. He doesn’t show the computations behind those figures, but it’s not apparent how detrending combined C12+C13 concentration in time would affect the C13/C12 ratio at any particular point in time. It appears figures 3 and 6 are precisely identical except for a constant offset, though the difference in axis size obscures this a bit. Perhaps I’m not understanding what he’s done but I think he’s looking for a temporal effect and the analysis discards time. stating as such and requesting his computations for validation. Regardless, I think the premise is flawed as per the previous post. and given that no one has been able to demonstrate a potentially consequential anthropogenic contribution to CO2 prior to 1950, or a relationship between potentially consequential anthropogenic CO2 and Global Warming prior to ~1975, I believe I’ve done that. Thanks for the additional link to Spencer’s blog. I was disappointed at first to see that comments on that thread appear not to be visible, but I see that he’s posted a thoughtful response by Engelbeen in the following article. When I find time, I’ll try to better digest both. My particular issue with your article is that an indictment of “either ignorance or duplicity” is a strong statement that calls for a stronger case than you’ve made in my view. The combination of warming over that period, the increase in CO2, and a probable anthropogenic isotope signature to that increase make a century long significant causal contribution plausible. While that may ultimately prove to be an erroneous interpretation, being wrong is a far different thing from being duplicitous. In any case, thank you for the time you’ve taken to respond to my concerns. In the late Ordovician, the planet plunged into the Andean Saharan ice age and later emerged from it while the CO2 level was about 10 times the present. During the last glacial period, warming trends changed to cooling trends while the CO2 level was higher than it had been during the warming trend. During the 20th century, average global temperature trends went down, up, down, up while the CO2 level went steadily, progressively up. Lack of correlation demonstrates lack of causation. To see further discussion of these three issues, search keywords Pangburn Middlebury. These things corroborate that CO2 change, by any rational amount, whether anthropogenic or not, has no significant effect on climate. Natural climate change has been hiding in plain sight. 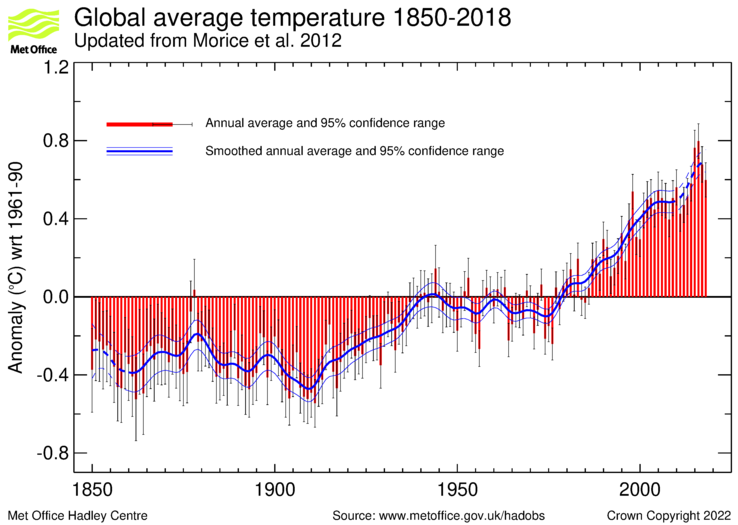 Simple equation calculates temperatures since before 1900 with 90% accuracy (95% correlation) and reasonable estimates since the depths of the LIA. CO2 change had no significant effect. Search using keywords ‘AGW unveiled’. That is essentially the exact definition of being duplicitous. No problem, I am happy to respond to criticism and welcome more of it in the future. Well carbon dating organic materials, like tree rings, only started in 1949. Cl4 has a half life and decays in dead organic material. Measuring the amount of C14 remaining gives an approximate age of the artifact, but only organic material. But – C14 has increased in the lower atmosphere at various times, due to the earths changing magnetic field, bombardment from outer space, and atom bomb explosions at various times over the millennium. Ain’t science wonderful, eh? As a post script to the above, when I went on digs, one of my cranky tutors, told me I could not handle or come near artifacts if I smoked. He told me one scientific Carbon 14 dating was thrown out because the archaeologist dropped cigarette ash and contaminated the artifact. I never liked him either, but that is irrespective. Nothing is perfect or absolute.